Click Started/Stopped by Metron Indexing to change the status of the Indexing then . Click the Confirmation button to verify that you want to start or stop the indexing. Ambari displays the Stop Metron Indexing dialog box. Click the entry for your Metron cluster, then click Metron Indexing Stop again. 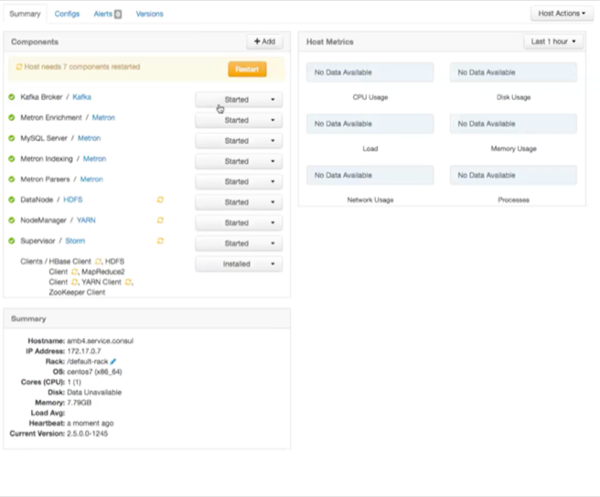 Ambari displays a dialog box for your Metron cluster which lists the actions as it stops the indexing.